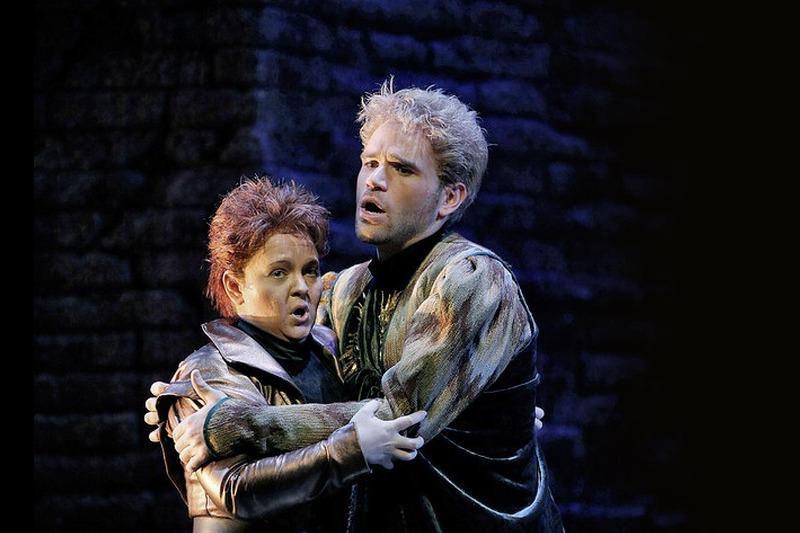 Lucrezia (Renée Fleming) sees her son Gennaro for the first time. Lucrezia (Renée Fleming) admires her son Gennaro (Michael Fabiano). 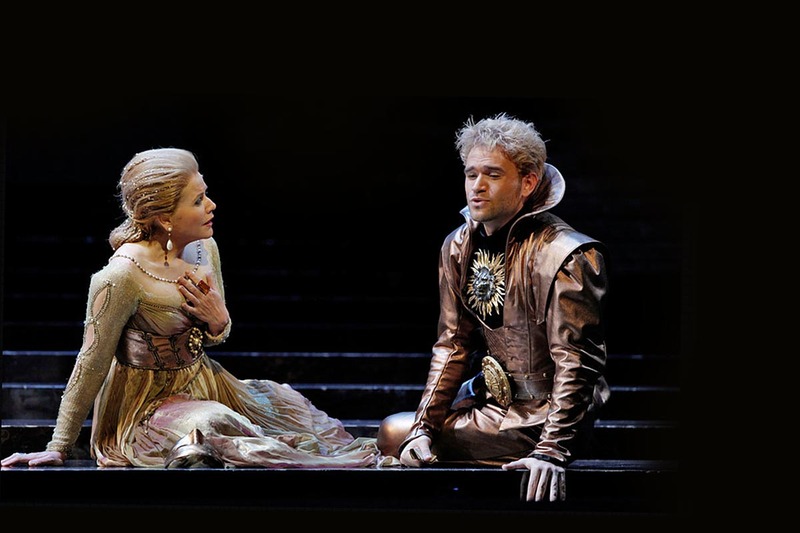 Gennaro (Michael Fabiano) tells Lucrezia (Renée Fleming) of his love for the mother he has never met. 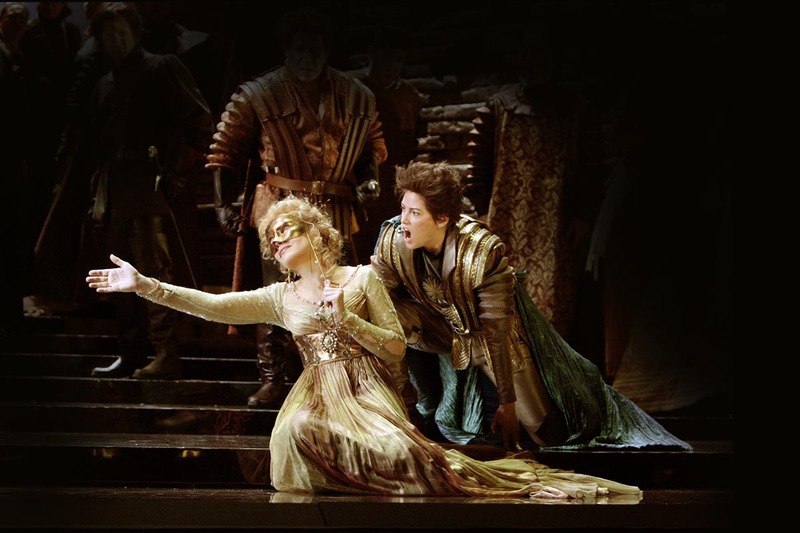 Maffio Orsini (Kate Aldrich, right) accuses Lucrezia (Renée Fleming) of the murder of his brother. 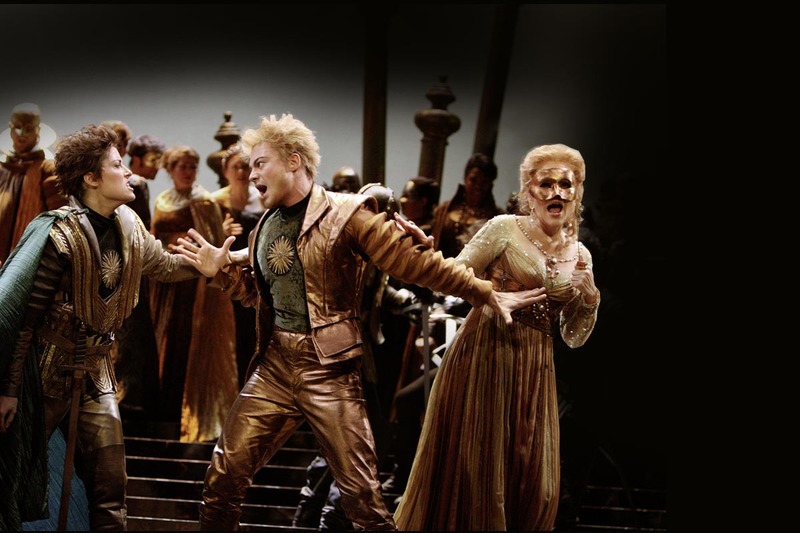 Gennaro (Vittorio Grigolo) defends the masked Lucrezia (Renée Fleming) from Maffio (Kate Aldrich). Gennaro (Michael Fabiano) is horrified to hear the accusations against Lucrezia. 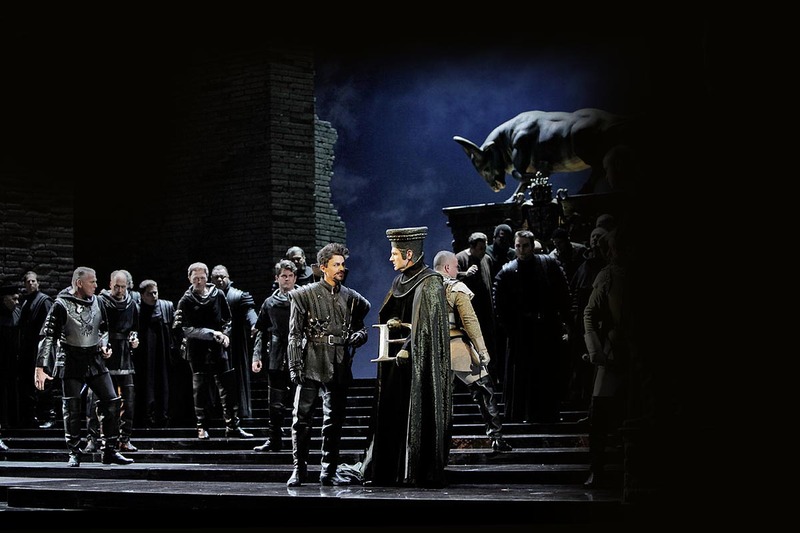 Duke Alfonso (Vitalij Kowaljow) seeks information about Gennaro from his servant Rustighello (Daniel Montenegro). 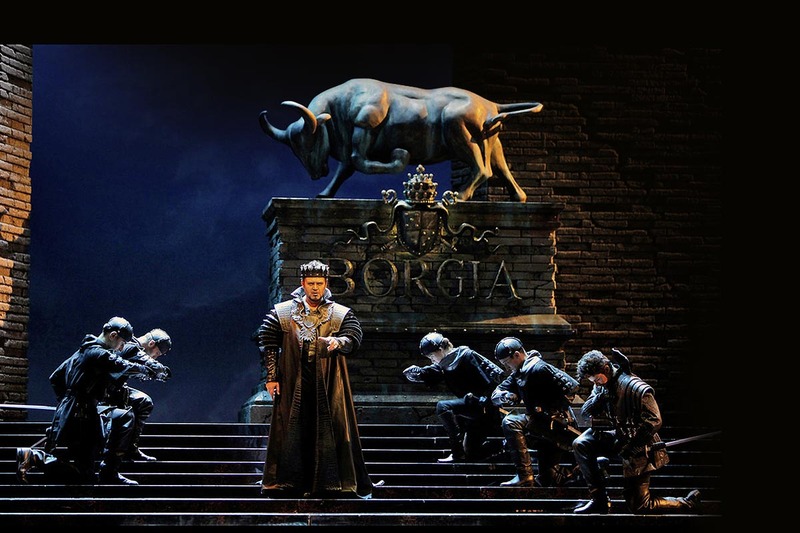 Believing Gennaro to be Lucrezia’s lover, Duke Alfonso (Vitalij Kowaljow) plans revenge. 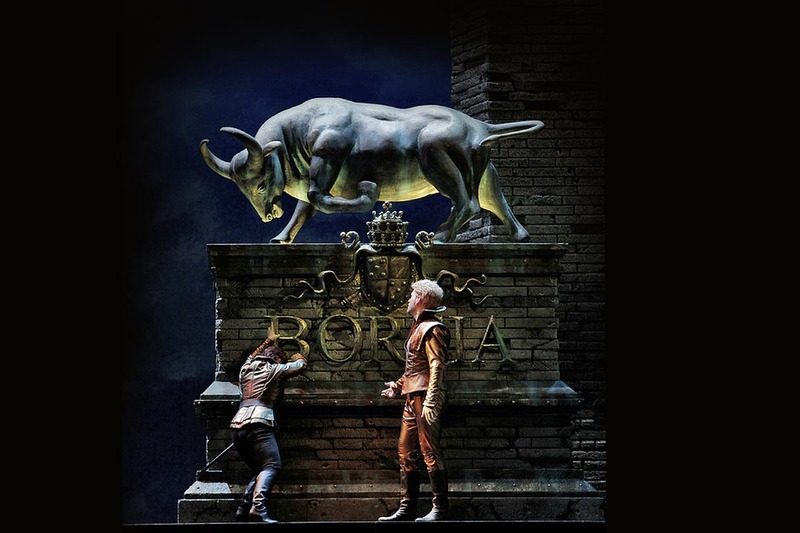 Maffio (Elizabeth De Shong) and Gennaro (Michael Fabiano) deface the Borgia family crest. Act II: E ognor di lei v'udrò parlarmi? 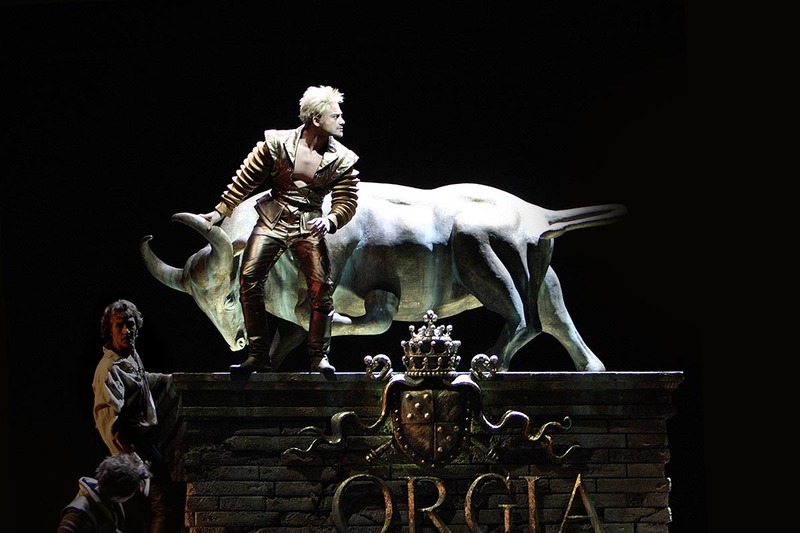 Gennaro (Vittorio Grigolo) boldly defies the Borgias. 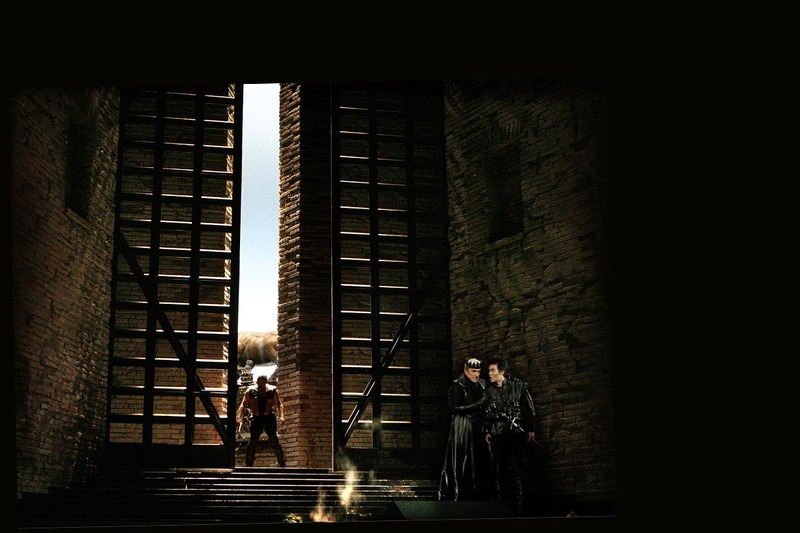 Astolfo (Ryan Kuster) tries to prevent Duke Alfnso’s men from arresting Gennaro. 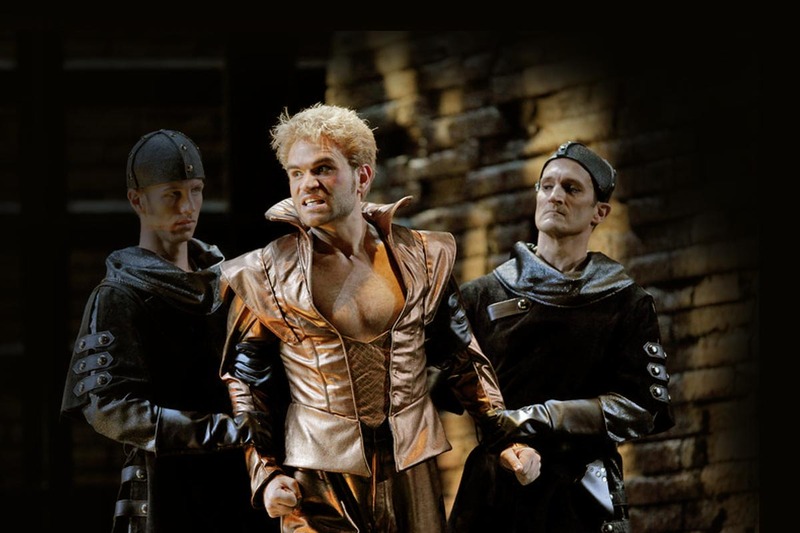 Duke Alfonzo’s servant Rustighello (Daniel Montenegro, left) orders Astolfo (Ryan Kuster) to leave. 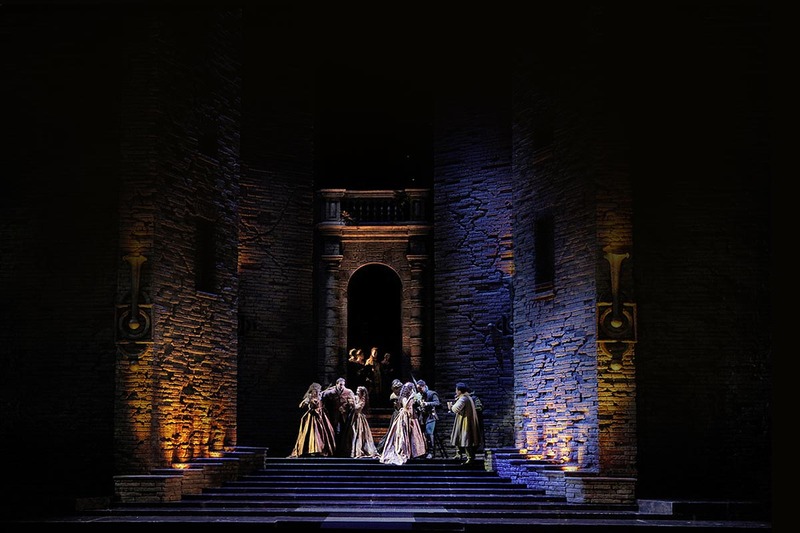 Inside the Palazzo D’Este, Duke Alfonso (Ruggiero Raimondi) questions his servant Rustighello (Yingxi Zhang). 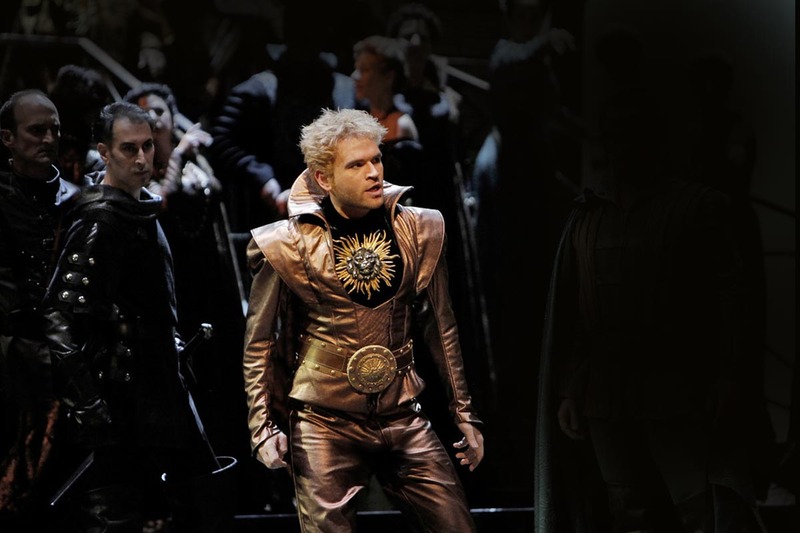 Duke Alfonso (Vitalij Kowaljow) plots the murder of Gennaro. 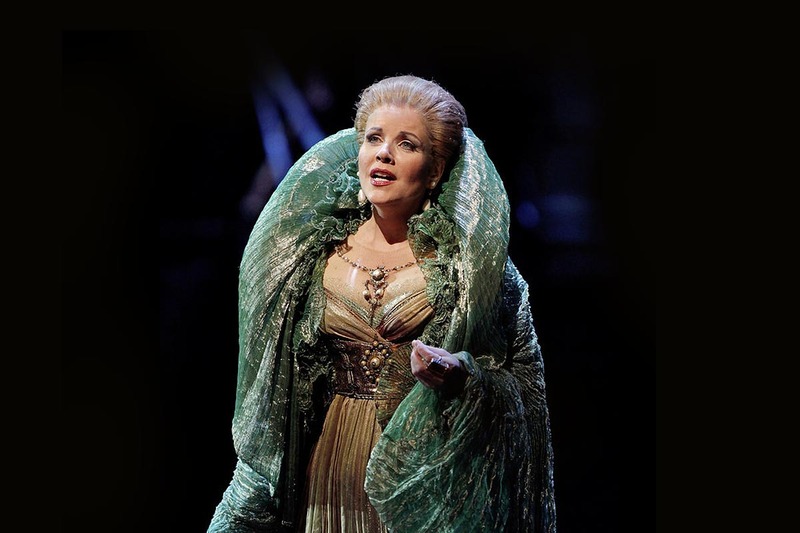 Lucrezia (Renée Fleming) demands revenge for the insult to the name of Borgia. Act III: Guai se ti sfugge un moto, se ti tradisce un detto! 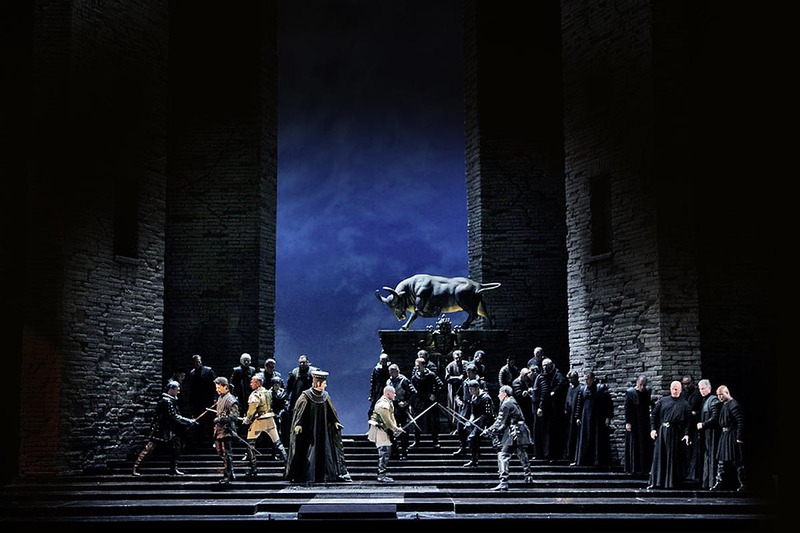 Duke Alfonso (Ruggiero Raimondi) forces Lucrezia (Renée Fleming) to remain silent about his plan to kill Gennaro. 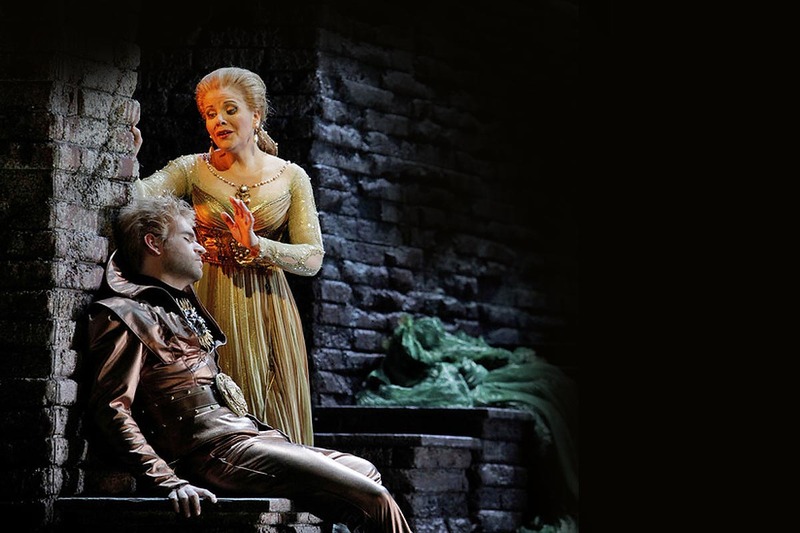 Lucrezia (Renée Fleming) plots to save the life of Gennaro, her son. Act IV: Ah! Non posso abbandonarti! Act IV: Rischiarata è la finestra. 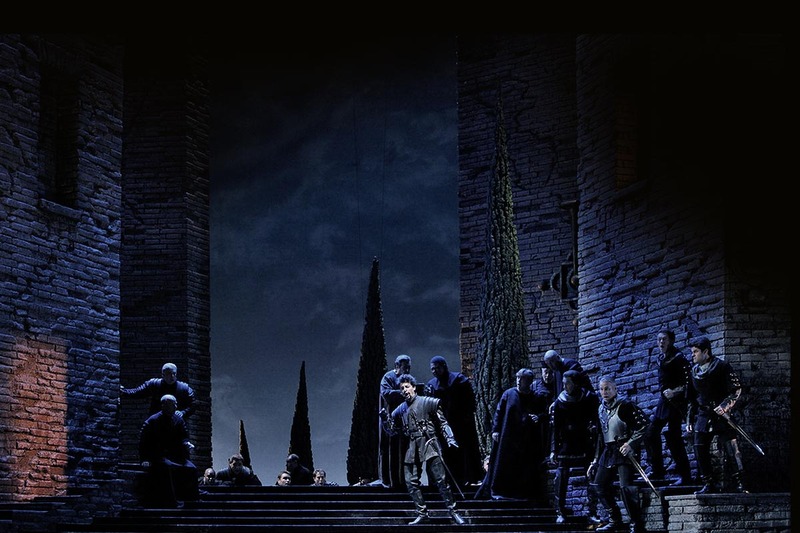 Acting on the orders of the Duke, Rustighello (Daniel Montenegro) and accomplices prepare to seize Gennaro. Inside the Palazzo d’Este, the captive Gennaro demands an explanation for his arrest. 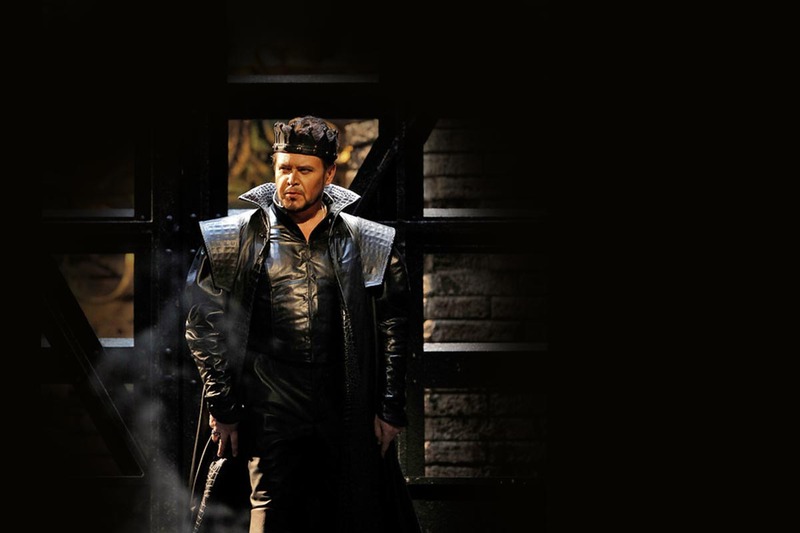 Gennaro (Vittorio Grigolo) and Maffio (Kate Aldridge) swear to live and die together. Act V: Viva il Madera! The young members of the Venetian legation are entertained at the party held by Princess Negroni. Lovers Maffio (Kate Aldridge) and Gennaro (Vittorio Grigolo) resolve to enjoy happiness while they can. 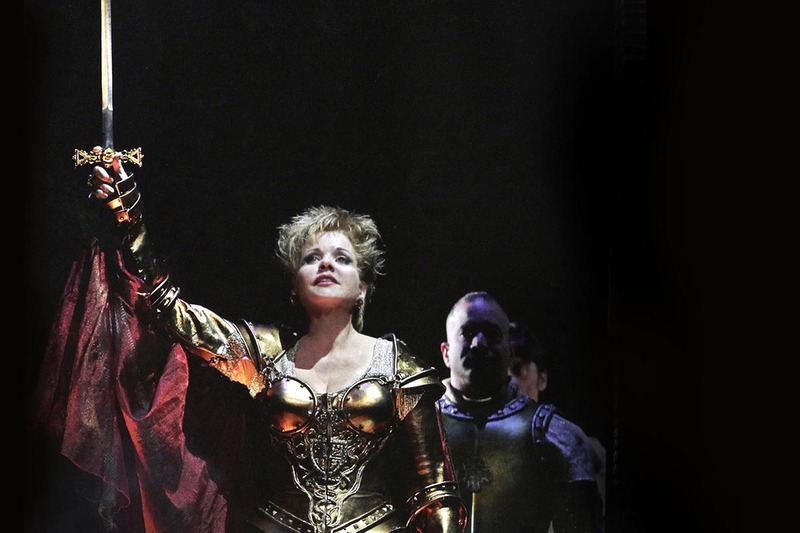 Lucrezia (Renée Fleming) swears death to all those who dishonour the Borgia name. Act V: Voi primiera di mia mano preparatevi a perir. 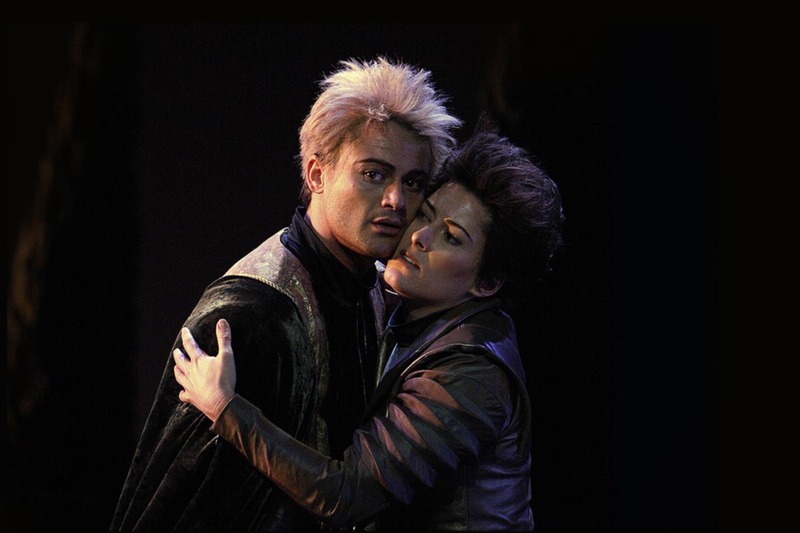 Grief-stricken at the death of his lover Maffio, Gennaro (Vittorio Grigolo) attempts to kill Lucrezia (Renée Fleming). Act V: Bevi ... bevi ... e il rio veleno deh! 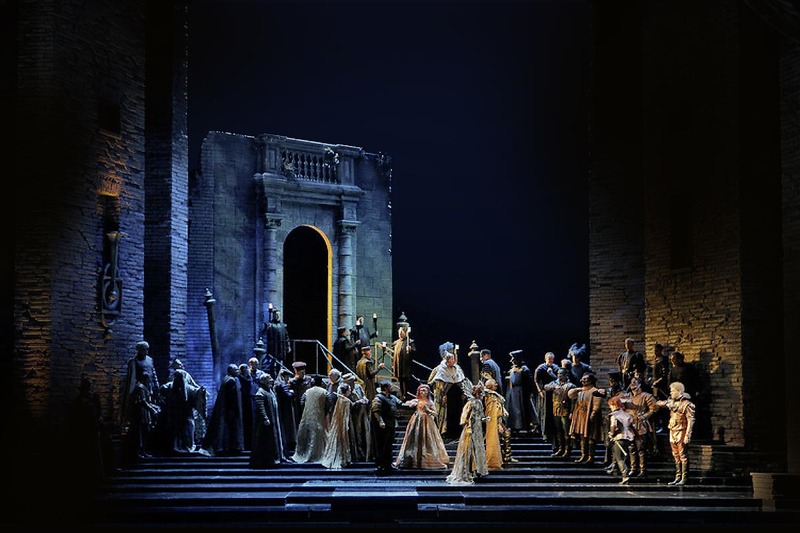 Hoping to save Gennaro (Vittorio Grigolo) from death by poisoning, Lucrezia (Renée Fleming) begs him to drink an antidote. 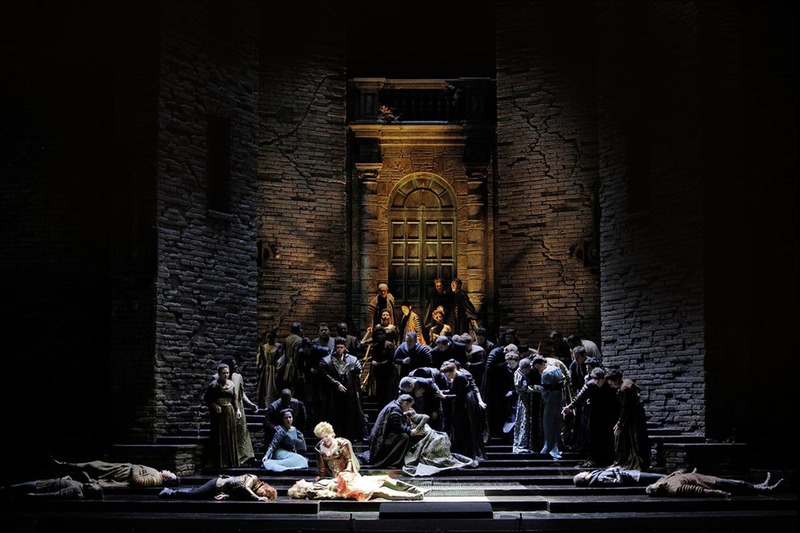 Surrounded by members of the court, Lucrezia (Renée Fleming) weeps over the body of Gennaro, her son. 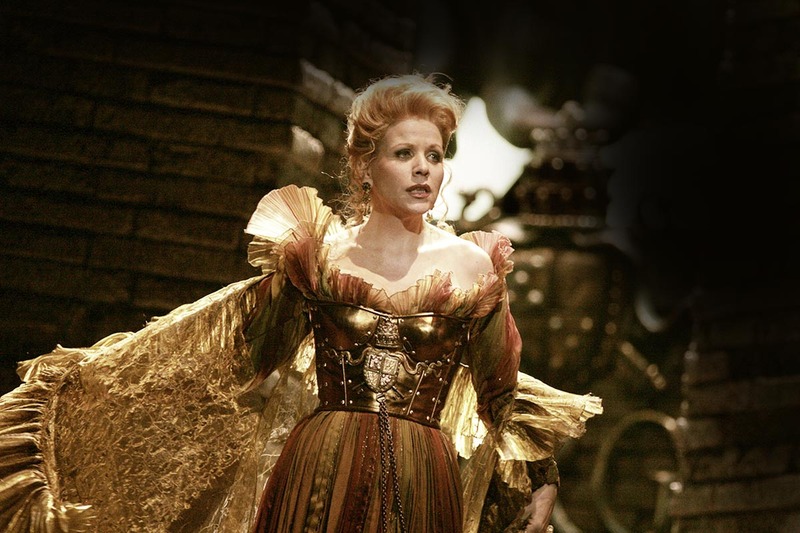 Overcome with grief, Lucrezia (Renée Fleming) takes her own life. 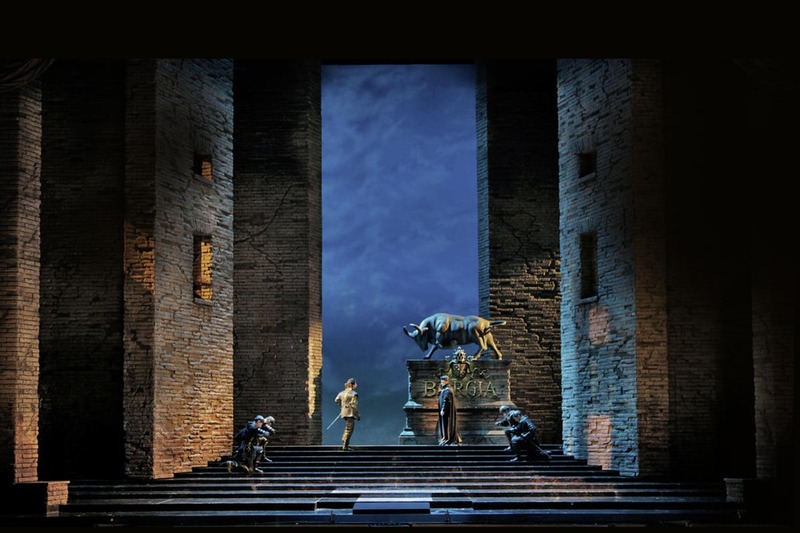 ‘Strong casting and attractive sets assured stellar performances of an opera that more stage directors (and opera critics) should take seriously. 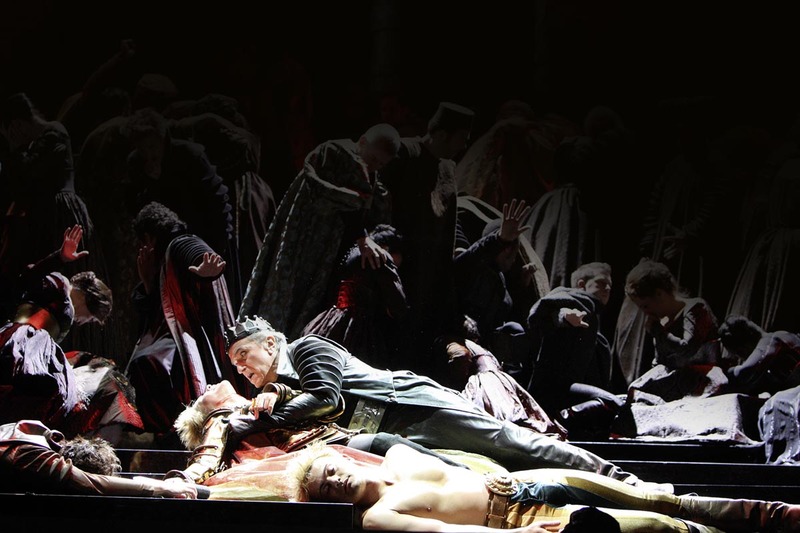 Alongside the body of Gennaro (Vittoro Grigolo, foreground), Duke Alfonso (Ruggiero Raimundi) holds the dying Lucrezia (Renée Fleming) in his arms. 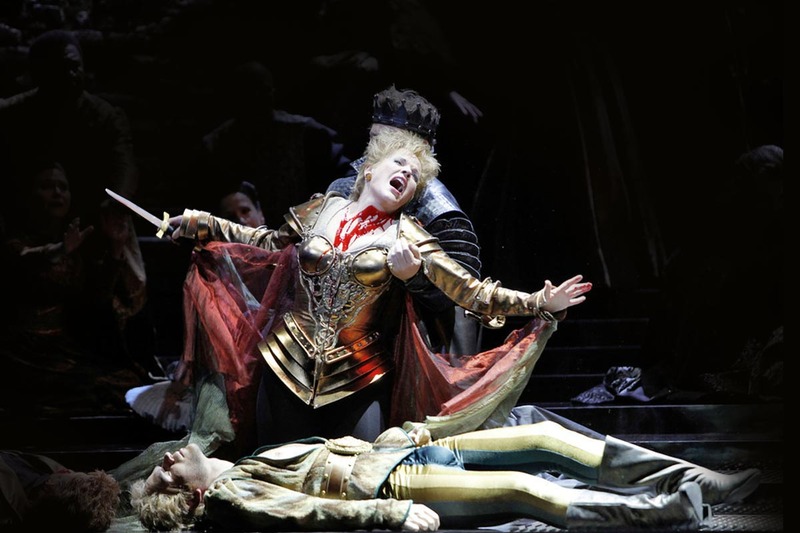 Overcome with grief at having unintentionally poisoned her son Gennaro (Vittoro Grigolo), Lucrezia (Renée Fleming) takes her own life.